What a joy to come across this beauty along a lane today. 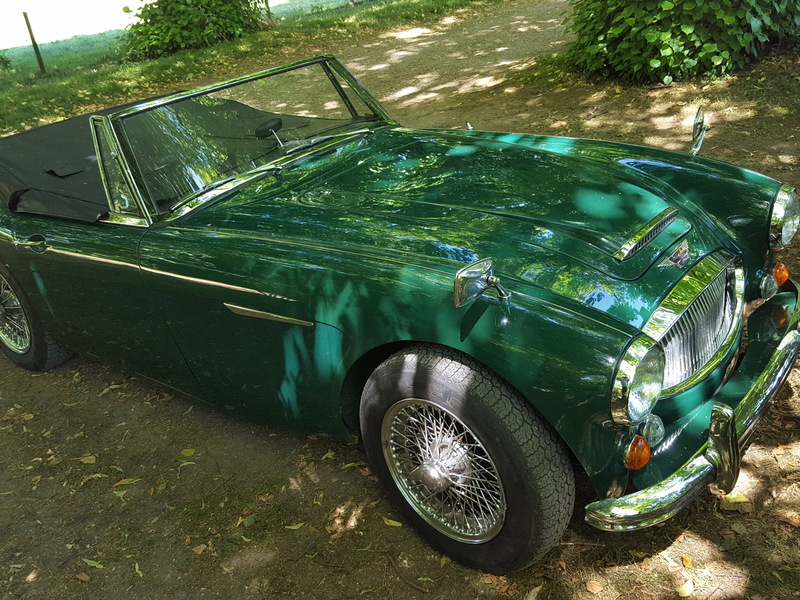 She’s an Austin Healey 3000 in British racing green. Classic British cars don’t come much more classic than this. I would have got a better shot but she was nestled up against nettles. I got as close as I cared to. I bow to no-one in my admiration for modern motors. They are stunningly efficient machines. They’ll go hundreds of thousands of miles in all climates and weathers. Often they’ll do it for people who treat clutches and gearboxes badly too. I understand the need for efficiency in production, but the automotive industry has lost a sense of style. Many modern cars look alike, particularly Jap and Korean models. There’s no personality or character. That can’t be said about the 3000. The curves, the chrome and those wire wheels just do it for me. Modern cars will easily beat her on every stat, but this is what I’d jump into on a day like this. You would think the Annapolis Shooting would inspire Rightworld types to post about the incident. Yet like the dog in the night from the story they have been silent. Curious? The story doesn’t register on their outrage meter. Why? The killer was not a Muslim. He was not an illegal immigrant. He was a white male legal gun owner who had issues with mainstream media. Elementary! The shooter was clearly capable of such an act for years, but the toxic atmosphere caused by the loudmouths from all sides of the political spectrum has increased dramatically and an environment in which such incidents might increase is building. He appears to have been nuts. Obsessed. Capable to those that encountered him of the very act he ultimately committed. Place this individual into the tempest of reckless rhetoric that has spilled over from the looney internet into our daily lives and the question seems to be not why this happened, but why this doesnt happen more often. This is in violation of the #2A #4A, & #5A, he’s also violating his oath of office. Titled “Lethal Violence Protective Order”–which is simply a different name for the same gun confiscation orders California Gov. Jerry Brown (D) and Florida Gov. Rick Scott (R) put in place–these orders allow family members or law enforcement officers to petition for the confiscation of firearms from an individual, with or without the gun owner’s knowledge. The law-enforcement officer has the burden of demonstrating by a preponderance of the evidence that a respondent poses an immediate and present danger of causing physical injury to self or others by owning, possessing, controlling, purchasing, having access to, or receiving a firearm. The respondent does not have the right to be heard or to notice that the law-enforcement officer has sought an order under this section. I agree with the “Spirit” of this Bill, but the procedures that it uses are UnConstitutional. A beautiful evening is about to end a beautiful week. So I’m going fling open the windows, open some beers, put on this album, sit in the garden and look across the English countryside. While I’m out there I might think about fungi and how birds navigate. Exports of UK goods and services rose to a record high of £620.2 billion in the year to March 2018 according to new trade figures released today. Exports grew faster to Canada (up 12.7%), India (31.8%) and China (15.3%) than to the EU (10%). Goods exports were up 10%, driven by a demand for manufactured goods, while services exports rose 4.2% due to strong global interest in the UK’s prestigious financial and travel services. Non-EU countries remain the main destination for UK services (£167.4 billion), making up 60.4% of all services exports. The country also remains a strong destination for investment with nearly 76,000 new jobs created as a result of inward investment from foreign direct investment projects in 2017 / 18, more than the previous year. Not quite the economic wasteland that Remainers threatened. It’s interesting to see that exports grew fastest to Canada, India and China, three countries isolated outside of the EU. Or maybe there is life out here? We can’t really blame (credit) the value of Sterling. That’s pretty much where it was two years ago. Maybe we’re just producing stuff that other people want. In the end, that’s all that counts. What a Third World dump immigration is making of this country. A London-based nurse has been convicted of trafficking five Nigerian women into Germany to work as prostitutes after subjecting them to “voodoo” rituals. Iyamu declared a modest income of around £14,500 in 2016/17 from her work as an NHS agency nurse, the court heard. Just an idea, commies: can we start training our own nurses? Left-Liberals only consider intentions, never outcomes. Hence their “refugees welcome” madness. They never saw that this would lead – inexorably – to more and more invaders dying. Others know better. If Left Liberals really wanted to help the invaders they would demand that they be turned back and the NGO criminal rackets be shut down. Trump gets to pick a Second Justice. Today Justice Anthony Kennedy after the Janus Decision was announced went to the White House sat and talked with the President for an hour and then handed in his letter of Resignation also releasing a copy to the Press. This was not expected, but totally delightful. 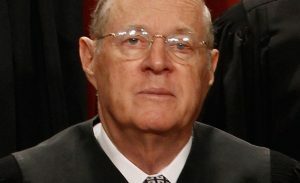 Justice Kennedy has served as the swing vote on the court for decades. How he would vote was never predictable. 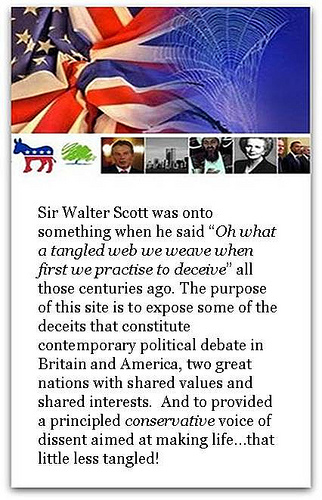 Some of his decisions I agreed with others I viewed as complete betrayals of the Constitution. This retirement gives Trump the opportunity to put a second solid Originalist on the court. We shall have to wait and see who gets the nod. Trump will pick them from the list of 25 people that he has put out all good solid picks. Democrats are already screeching…. the loudest screech will be them yelling that this will be the end of Roe vs Wade. Which is pure nonsense, nonetheless that will be the first talking point to scare the masses. Trump has managed to put over 40 Conservative Judges onto the Appellate Level with this appointee he could give Constitutional Conservatism a Judicial lock for twenty years. Removing an avenue long exploited by the Left.